This is the PERFECT way to end any money routine. Period. 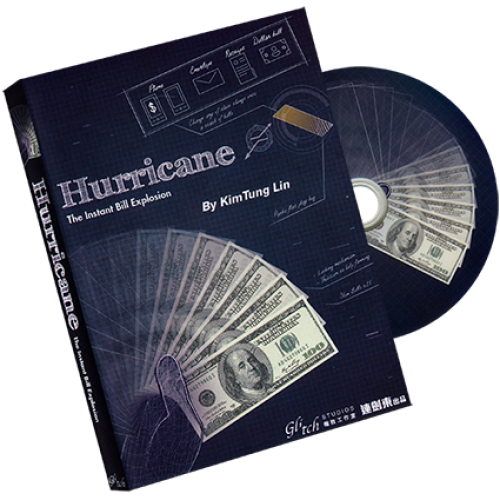 We are very proud to present to you HURRICANE. Another ingenuous creation form the mind of KimTung Lin, the creator of CANVAS. Imagine if you have the power to transform ANY OBJECT into a FAN OF MONEY in a split second. From a phone, a bill, a lottery ticket, a check, a poster, a fan of blank paper, an envelope... just to name a few. 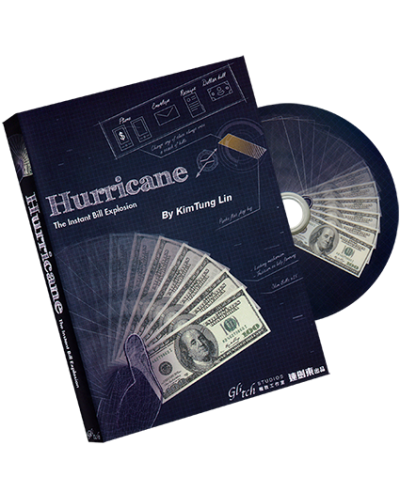 You can easily adapt HURRICANE to fit your performance needs. The possibilities are only limited by your imagination. This is like nothing on the market. This is more visual, more powerful, and more adaptable. THIS IS HURRICANE. Extremely visual... really. Jaws will drop when spectators see this for the first time.